Supply chain disruptions present a strong case for the inclusion of future-proof management techniques. However, it is the advent of digital technologies that actually helps companies foresee the risk and threats pertaining to the supply chain. Moreover, future proofing the hierarchy renders additional levels of efficiency, agility and even visibility to the retailers and industries, alike. That said, every supply chain management strategy thrives on availability for the customers. With retailers and suppliers battling it out for additional profits, there are times when the customer interests get compromised. Therefore, having a robust and futuristic supply chain helps companies reach higher levels of customer satisfaction by addressing the key concept of product availability. In a nutshell, companies must strive for minimal disruption and better availability; clubbed together for an accelerated growth. The simplest approach towards minimizing disruptions involves leveraging big data and predictive analytics. Digitizing the entire network and integrating the same over a digital ecosystem involves raw material procurement, customer fulfillment and even logistics. However, digitizing the supply chain hierarchy allows business to aggregate insights from varied websites, systems and suppliers. This approach, therefore, improves supply chain visibility and allows end-to-end data orchestration. Basically, it’s all about investing in technology as it takes complexity out and simplifies the entire supply chain management process. Future-proofing the supply chain requires a proactive approach and a unified vision towards growth. No technique would suffice if an organization isn’t even willing to take a pledge towards long-term supply and enabling relationships. Having a vision requires companies to create channels between sustainability, business continuity, quality and even relationships. Basically, it’s all about the vision and how organizations focus on the same. Customers aren’t actually bothered about the service levels but focus completely on the availability. Therefore, it is important that companies start focusing on establishing supplier and manufacturer capabilities by either partnering with them or innovating alongside for exchanging information. This approach aims at creating awareness about product availability and collaborating with suppliers for mitigating supply chain threats. This strategy also comes forth with enhanced levels of scrutiny and focuses on rendering transparency to the supply chain framework. Another way of building capabilities is to encourage healthy competition by often resorting to certain benchmarking tools or even performance indicators. As a matter of fact, no company would be able to future-proof the supply chain by just acting alone. Be it establishing healthy partnerships with suppliers or collaborating with the stakeholders over projects, a company can only grow if it supports coalitions and co-creates supply chain programs. Moreover, creating partnerships enables organizations to achieve a farsighted vision. Customer trust levels are integral to a robust supply chain. Companies must therefore look to provide the best value to the customers, regardless of the supply or manufacturing issues. In this era of cut-throat competition, the price is secondary and it’s all about establishing higher customer trust and satisfaction levels. Organizations that concentrate on customer satisfaction and overall trust levels can easily gain a competitive advantage over their contemporaries. One way of amplifying the existing supply chain hierarchy is to opt for a multi-channel approach. Having this strategy in place allows companies to offer products to the customers in more than one way. This way companies can scale newer heights in terms of customer satisfaction. Moreover, the multi-channel approach offers several insights into the customer experience by taking care of user interests. Even in this increasingly competitive era, organizations must stand by the operational efficiencies and ethical supply chain management practices. The idea here is to opt for certain advanced risk and threat protection tools which in turn offer ethical and environmental risk monitoring options to the enterprises. In addition to that, a robust supply chain also calls for the inclusion of transformative technologies which assist in creating a collaborative and transparent network. When it comes to future-proofing a supply chain, organizations must concentrate on sustainability while pursuing the digital vision. That said, the emphasis must be on the creating resilient production systems which will minimally impact the environment and even encourage cross-sector partnerships. 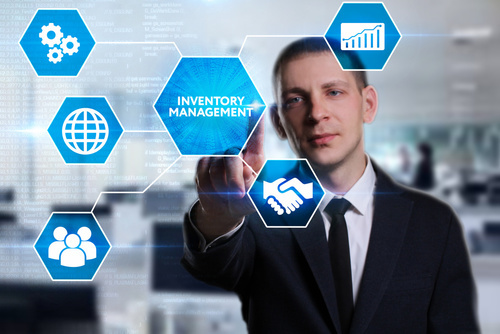 Senior executives and organizational CFOs understand the value of inventory management as any form of shortage or glut might lead to reduced productivity. Enterprises usually rely on external benchmarks for assessing the existing state of inventory and in the meanwhile, end up making erroneous operational assumptions. It needs to be understood that the inventory is probably the largest asset in a company and managing the same requires an extremely proactive approach. Be it right-sizing the same, identifying overstocks or liquidating certain products— improving the entire inventory management process requires an organization to deploy a host of innovative strategies. Why Inventory Management is Important? Inventory is the integral part of a supply chain and can be considered as an omnipresent metric. While having minimal inventory can lead to lower sales, excessive inventory cripples the organization by eating in to space, labor, money and even transportation costs. 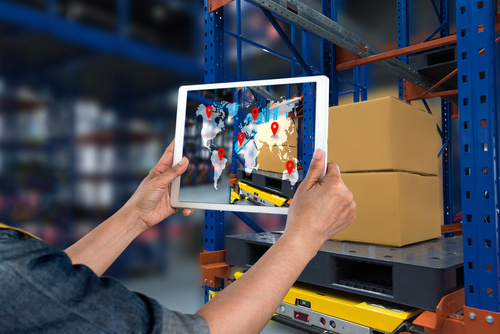 Moreover, enterprises with limited capital and resources should emphasize more on the inventory management process as tracking the same with accuracy can help them make better purchase decisions and improve stocking. That said, inventory management isn’t a linear process and requires holistic attention. Organizations must concentrate equally on the quality, levels, records and even the physical aspects of the concerned inventory. Unless the enterprise is stocking the right form of inventory, it is pointless to go ahead with the discussions concerning the entire management process. It is essential to cover the ideas and perspectives that involve execution, planning and even investigations. An inventory management process aims at reviewing the critical aspects of supply chain while implementing cutting-edge technologies. Optimization tools for checking on the inventory management process have gathered massive levels of recognition. While these can be as simple as the stand-alone tools like ERP and WMS systems, they typically consider demand and supply variability followed by a host of replenishment parameters and other supply chain metrics. The idea is to incorporate these tools into the transactional hierarchy of the concerned distribution center; thereby minimizing human interventions. Tracking the inventory management process with excel spreadsheets is obsolete. Instead, organizations must make the shift towards real-time analytics that offer a unified informational model followed by granular analysis and instant responses. These innovative business solutions also support stimulations and scenario planning; helping businesses take myriad planning decisions. One expert tip would be to assess the demand and supply variability patterns of different products in different ways. Better termed as service-level segregation, this approach can help organizations maximize their resources while segmenting their diverse stocking policies. More often than not, suppliers can let organizations down by not adhering to deadlines or commitments. Monitoring the listed suppliers and tracking them using inbound receipts are certain strategies that might fit in with an inventory management process. In addition to that, checking the quality of the received products is also important. When it comes to approaching an inventory management process with proactivity, it’s all about tracking product traceability and genealogy. While some industries are restricted to tracking the lot numbers, other essential attributes are often ignored; thereby impairing an existing management plan. However, the best idea to approach this situation would be to capture attributes and process the same in context to the supply chain. Tracking also increases overall visibility and improves the decision making. Mobile ecosystems are ubiquitous when it comes to capturing data and processing the same. Therefore, businesses must look to leverage the same by training employees about their usage and functionality. This strategy improves accuracy, speeds up the business, increases efficiency and even minimizes the delays associated with paper-centric operations. Businesses must be extra careful about the slow movers in an inventory management framework. There will definitely be some items that occupy greater spaces, utilize additional resources and aren’t even sold on a daily basis. The risk of obsolescence is therefore paramount when it comes to dealing with the SLOB i.e. Slow Moving and Obsolete Items. It is important to slot items beforehand in order to segregate the spatial arrangements. Moreover, slotting also minimizes the travel distance, maximizes throughput and even improves productivity. Inventory Management is the key to organizational productivity and amplified customer experience. However, it’s all about putting these strategies to use, in order to improve the overall inventory management process. When it comes to product packaging, businesses need to address multiple requirements instead of concentrating more on aesthetics and creativity. Put simply, a packaging design need not be outstanding but should help amplify overall sales. Designers need to understand that anything that improves the sales figures is a great addition to the branding arsenal. Therefore, certain basic principles need to be followed in order to bring forth the best possible package design for a business, regardless of the aesthetics, grandeur and appeal. At present, manufacturers are concentrating on making the product look good and saleable. In the process, they keep adding innovations to the packaging designs for holding and even glorifying the products. With several designs competing for customer attention, it becomes important to focus on functionality, logistical considerations and the catered audience, for a specific one to succeed. There are certain trends which should be kept in mind while designing a package and manufacturers must be well-versed with the same. Firstly, the efficacy of a designing campaign depends on the target audience. At the end, it’s all about understanding the market and working towards fulfilling the requirements of the loyal customer base. One such example would be Apple which has been sticking to a minimalistic yet elegant packaging design for all its products; precisely for living up to the expectations of its elite customer base. Most manufacturers tend to ignore the product in their quest towards an appealing packaging design. Instead, the package should drive inspiration from the product and designers must incorporate the identity of the latter in the design. Customers prefer packages which are easier to use and open. While this doesn’t mean designing a package with minimal security features, it basically aims at making the designs practical enough. A customer would never want to spend most of his or her valuable time on the package and the design must simplify his way towards the actual product instead of hindering his advances. Brands and the associated designers must try to keep the sales quotient in mind, while zeroing in on a packaging layout. While the outlook is important, it’s all comes down to amplifying the sales via a cohesive amalgamation of packaging and marketing. Therefore, the packaging design must cater equally to the retailers, distributors and varied sales channels. The modern era urges designers to opt for sustainable layouts by making Green packaging a norm. Using eco-friendly materials actually improves the sales efforts and persuades customers into making purchases. Adding innovations and subtleness to the packaging designs is as important as making it inspirational. It isn’t easy to grab the customer attention and therefore designers must toil harder towards achieving the same. A sturdy yet appealing package is the need of the hour. There are products which need to be handled with care and therefore designers must look to create packages which can safeguard the sheltered entity from diverse elements. Companies usually manufacture products in bulk and therefore the packaging designs must also fulfill the same criterion. Inconsistent product packages are not advisable and designers must opt for something that easier to reproduce in case of reorders and bulk purchases. In simpler terms, a packaging design must address the requirements of customers, sales channels and even vendors. Therefore, it is advisable to opt for fonts and colors that evoke certain emotions; thereby skyrocketing the sales figures. Last but not the least, choosing the right language is equally important when it comes to designing a package. To be precise, it actually depends on the sales channels and target audience. Creating content for the packaging designs can come in handy at times and this is where selecting the right language plays its part. Companies and their respective branding teams work hard towards creating functional and holistic product packaging layouts. However, the entire process requires truckloads of efforts and exceptional graphic design prowess to come through as a successful one. While the quality of products is the most important metric for initiating sales, product packaging is a close second when it comes to persuading the leads and converting them into loyal customers.